Digital scrapbooking flourishes add polish and beauty to a project. You can pick from a variety of flourish designs, such as flowers and abstract artistic patterns. If you are looking for a way to personalize and decorate a digital scrapbook, flourishes may be the answer. Digital scrapbooking is popular because most software programs are very user-friendly. Since many people already spend large quantities of time online, digital scrapbooks are also convenient. Busy moms now have time to preserve every memory in a beautifully decorated electronic scrapbook and spend more time making new memories with the kids. People with little or no artistic experience can create professional quality pages with the right software. Electronic scrapbooks also provide many design elements that allow people to experiment with a variety of creative ideas. Design elements make it easy to create a polished page quickly. A digital flourish is one of these handy design elements. Flourishes come in a variety of colors and styles. Flourish styles range from elegant to modern. Digital flourishes are compatible with both Mac and PC computers. Most flourish packages are available in both PNG and .abr files. The .abr file allows the flourishes to be downloaded to Photoshop or Photoshop Elements. A PNG file can be used with other photo editing and desktop publishing programs such as Paint Shop Pro. Frame--Flourishes can create a frame around a photo. Corners--Add a flourish to the corners of a photo as a decoration. Photo design--You can use flourishes directly to the photo to create artistic patterns. Page design--Use flourishes to connect two photos in an artistic design on the same page. Experiment with the flourishes on your page. Try different layouts and position the flourishes around the photos until you find the perfect design. Everyday Digital scrapbooking--This blog offers a tutorial on how to add flourishes to photos. Artful Crafter--The Artful Crafter webmaster demonstrates how she added flourishes and brushes to her digital scrapbook. Designer Digitals--The site sells a large variety of flourish designs. Designs include shapes, seasonal, floral and botanical flourishes. Scrap Girls--Scrap Girls Boutique offers a variety of family-related flourish sets. 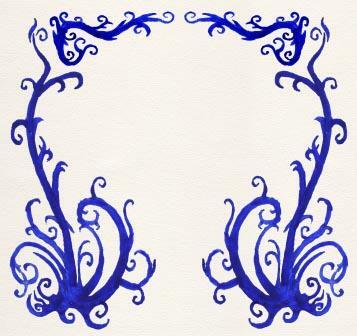 Scrapbook Max--The site sells a variety of flourish designs that range from country home to colorful contemporary. Scrapbook--Scrapbook offers a selection of flourish designs such as flowers and shapes. A Cherry On Top--A Cherry On Top offers a selection of digital flourishes such as artistic designs and shapes. DaisyTrail--The Sweetheart Scrolls kit includes several swirling pattern embellishments you can use for flourishments. Digital scrapbooking flourishes can turn an ordinary photo into a professional quality work of art. The large selection of flourish designs will inspire the creativity of many scrapbook fans. Digital design elements such as flourishes may convert traditional paper scrapbook fans to try digital scrapbooking.